Two things I don’t like much about the Manfrotto / Kata Revolver backpack are first, it’s not designed to hold two camera bodies even with its rather huge body. Second issue is the backpack cannot stand by itself – after all it’s designed like a revolver (such that you can access lens easily). So, the Revolver is out … and F-Stop Guru is in. It has to be lightweight. It shall look like a typical hiking / day-trip backpack, but not a backpack with camera gear inside. It shall hold two M4/3 camera bodies, a few Olympus Pro zoom lens, one or two fixed lens, and a flash. It shall allow the photographer to access the gears easily, by slinging the bag or access from the side. It shall be able to slot in a 13 inches laptop. It shall include lots of small internal pockets to hold accessories. The shoulder strap shall not be that thick to fit the Capture Pro Camera Clip. It shall has side pocket(s) to hold bottle of water. It shall include rain cover. And of course, It can stand by itself. Bonus – it can fit in an internal hydration pack. Well yes, the F-Stop Guru fits the bill. Are QR Codes Dead ? So you probably know … QR Code was invented in 1994 (yap, 20 years ago) by Denso Wave. Although initially used for tracking parts in vehicle manufacturing, QR codes now are used in a much broader context especially in mobile, for example to add a vCard contact to the user’s device, to open a webpage thru Uniform Resource Identifier (URI), or to compose an e-mail or text message. However, just a silly question, how many times have you scanned a QR Code ? Say in the last 30 days ? Let me ask again in greater details, how many times have you picked up your phone, started up the phone, run the scanning app, pointed the phone to the QR Code, and scanned it (provided you have the QR Code in focus and in good light) ? Two and a half years ago, Forbes asked the question “Are QR Codes dead ?”. And this question was raised many times in the past two years (you can Google it), but still there is no firm answer. In fact, the other 2D code technology Microsoft Tag is closing down soon. So I did a test … I picked up one San Francisco Chronicle (a daily newspaper for the greater San Francisco area), and flipped through all the pages with an aim to find one QR code to scan. And the result – none. Nothing. Yap there is no single QR code in the whole newspaper. So why are QR Codes so popular in Japan, Korea, China and also picking up speed in Hong Kong, but yet no one is really using it in a high-tech city like San Francisco ? There are many different reasons from IT and marketing experts, but I think the real reason is – the English language. Imagine your small company (“Company”) is running a promotional campaign and want your target customers to browse your company website like http://www.COMPANY.com, or call the toll free number – 1-800-COMPANY. It may be pretty easy to do it in North America, just print the ad in newspaper with the website address and the phone number. But what if your target customers are not that fluent in English ? What if it is hard for them to memorise your company name, the website address etc. ? Naturally, I think one solution is to use QR Code and I think that is why it’s popular in non-English speaking countries – Japan, Korea, China, as most (if not all) website addresses are composed in English language characters. With all that said, still QR Code will give it another try, as the Merchant Customer Exchange in US is rolling out a new payment gateway CurrentC, with an attempt to kill Apple Pay (and also Credit Card fee). The whole idea of the payment gateway is to use QR Code to link the transaction to your bank account. So, may be, let’s visit this question “Are QR Codes dead ?” again in two years time. Stay tuned. Author Michael YungPosted on October 28, 2014 January 20, 2016 Categories Services & Products, TechnologyTags currentc, mcx, qr codeLeave a comment on Are QR Codes Dead ? Kindle Voyage, iPad Air 2 or iPad Mini 3 ? Same to many of you, I have the Kindle Paperwhite II and the iPad Air. The Paperwhite II is my primary ebook reading device, and the iPad Air is my primary digital content consumer – be it News, Blog posts, Facebook, Twitter, Linkedin, Zite or YouTube. I also use the iPad Air to compose emails, post feeds to social media via Buffer etc. “No.” is my answer, in my case. But what about you ? 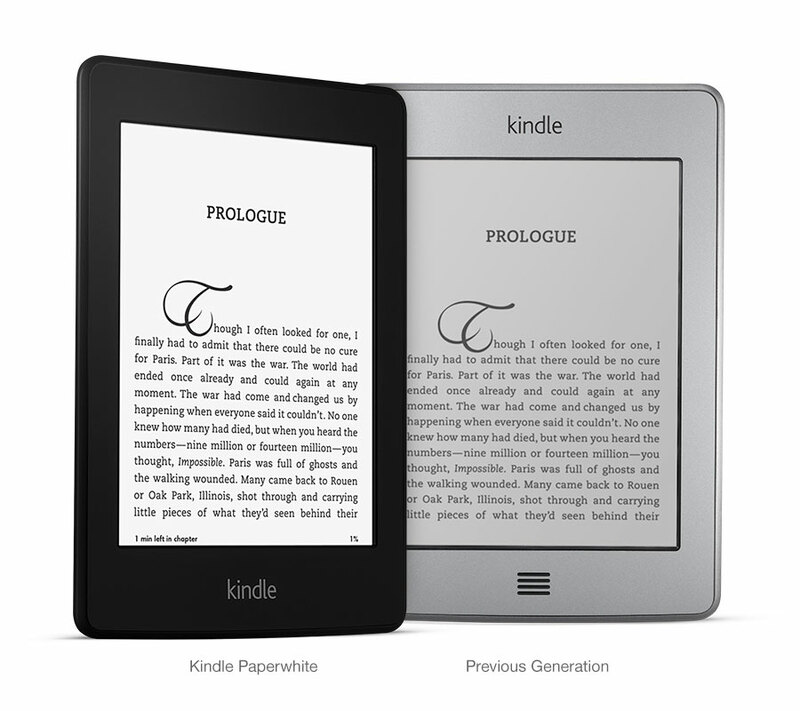 Let’s see the specifications of Kindle Paperwhite II and Kindle Voyage, key improvements are highlighted. Kindle Voyage gets a new Origami Cover. Again, my answer to Kindle Voyage is “No.”. But if it’s your first Kindle, or your old one is broken, Kindle Voyage is a no-brainer. And what about iPad Air, iPad Air 2 and iPad Mini 3 ? Again, I highlight the major differences. Battery life are all similar. To me, if you think your iPad Air is fast enough, you don’t really need to upgrade to iPad Air 2, unless you really, really need the Touch ID. Author Michael YungPosted on October 25, 2014 January 20, 2016 Categories Services & Products, TechnologyTags air, apple, ipad, kindle, paperwhite, voyage2 Comments on Kindle Voyage, iPad Air 2 or iPad Mini 3 ? Everyday we have lots of news about the latest gadgets from Tech blogs and social networks, and everyday we tell ourselves to wait … wait until the reviews are out, wait until the better versions are out or the prices are dropped. Yes, it’s me; but of course, YMMV. However, there are times that I cannot wait but go ahead to buy the overpriced, not-well-tested gadgets, then find out I should have bought those earlier because the gadgets are soooooo good. And here are 5 gadgets that I think you should buy now, instead of later. I traveled a lot and really like to have a pair of headphone that can play good music as well as cancel all the background noises. I have other noise cancellation headphones before, but the Bose QuietComfort 20i Acoustic Noise Cancelling Headphone is really the best one. This in-ear headphone is lightweight, delivers excellent sound quality, and extremely comfortable. Many times I would turn on the noise cancellation mode in busy cafe or packed subway train such that I can have some quiet time to read. If you have lots of good songs in your mobile device and like to enjoy those even in a noisy environment, this is for you. So you have a good pair of headphone with noise cancellation feature, then it’s probably about time you shall get the Kindle Paperwhite (second generation) to restart your book reading project. The screen is simply stunning, and you can read it under bright sunlight or in the dark. Best of all, your eyes will thank you as the other non-ePaper digital readers really will hurt your eyes. Other than a pair of headphone and a good book reader, another essential travel companion for me is a good DSLR camera. I’m never a fan of Canon, Nikon and Sony, but became a big fan of Olympus about 10 years ago (I really love their E-1). So when they released their excellent OMD E-M1 last year, I bought it without skipping a heartbeat (note that I already got the E-M5, ooops). A solid, weather-proof, and responsive camera that will never disappoint you in terms of image quality. Another “gadget” that travel with me all the time is the Macbook Air. It’s my work computer, research tool, programming machine and social networking platform. That’s not much you can complain about the great machine, but for me I want one more USB port – to charge my iDevices and without syncing. Yes, I can get one of those power supply plug charger, but instead of getting extra bulk I bought the Twelve South PlugBug World. 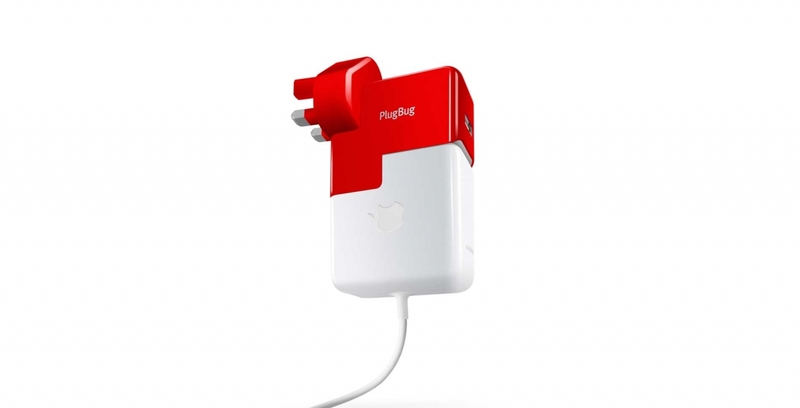 It’s an All-in-one MacBook global adapter with 2.1 amp iPhone/iPad charger – perfect. And the bonus is, this world edition comes with different plugs for different countries. The last gadget that I wish I had bought earlier is the MIO Alpha I. It is a watch and it is also a strapless heart rate monitor. Yes, you read it right, it is strapless (!!). In addition, it can synchronise the reading to the RunKeeper app with Bluetooth, such that the app can read out the heart rate to you during your exercise. 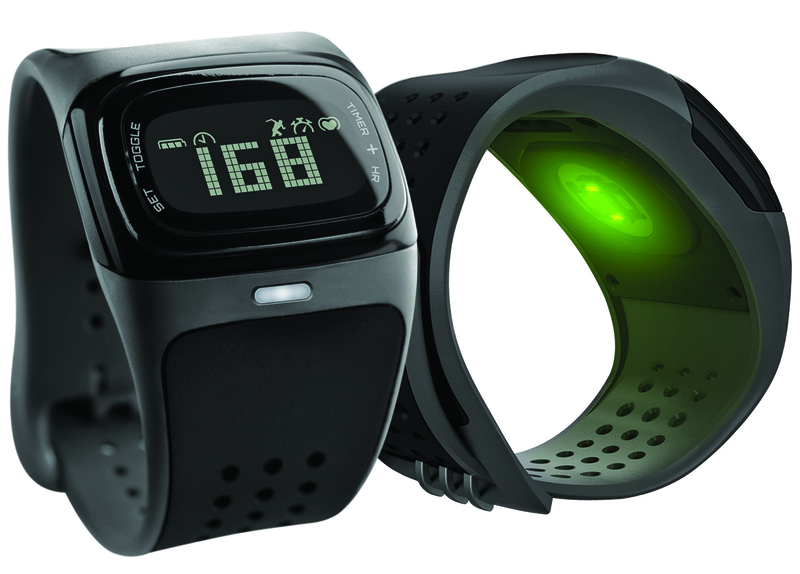 If you like to track your heart rate while jogging or running. Get one, period. So, those are my picks, what are your 5 buy-it-now gadgets ? Everyone knows me as an Olympus fan, not because I shoot lots of beautiful photos with Olympus cameras but the fact that I bought many Olympus cameras (Digital SLR and Mirrorless) since they launched the revolutionary E-1 camera in year 2003. Ten years ago, there was really no original digital SLR (DSLR) camera design in the industry as most of them were just a rehash of the film SLR cameras. On the other hand, Olympus’ E-1 was really a ground breaking DSLR as Olympus designed the camera from ground up with many many new and digital photography specific features. So in the last 10 years, I bought eight (!) DSLR and Mirrorless cameras from Olympus and they are – E-1, E-300, E-510, E-P1, E-5, E-P3, E-M5 and the latest E-M1. Yes, it’s going to be the final episode of the “iPad Keyboard Case” as I believe I have bought way too many iPad keyboards. In addition, I believe the new iPad 5 will be thinner than iPad 4 and so it is pointless to buy any new keyboards that may or may not fit the future iPads. It’s more stylish (I bought the white color version, to fit my black iPad). All in all, I am happy with the new member of my iPad keyboard family, and will use it for a while … before the next keyboard comes out. And here is a video to see how the keyboard case works with multiple angle set up. The American futurist Alvin Toffler once said – “The illiterates of the 21st century will not be those who cannot read and write but those who cannot learn, unlearn, and relearn”. I think it is particularly true to those of us working in the Information Technology industry, as every two three years we need to unlearn some buzzwords, and relearn some buzzwords. However, Cloud Computing are not buzzwords. Therefore, it is important for us to unlearn the previous know-how and relearn the new new things – the new way to design, implement, test, operate and monitor Cloud based IT systems. And one of the best ways to go thru this unlearn and relearn this cycle is to attend the Amazon’s AWS Summit. One of the key learnings of in the Summit is you can auto-scale the IT systems. In the past few years, no matter who you talked to – salesperson, developers, architects etc., they would all tell you how great it was that you could easily scale up your Cloud based IT system when the system was under heavy loadings (for example, in peak hours of sales period, or festive seasons). Seems to me all they need is to scale up, all of them are very optimistic about their businesses !! However, the true beauty of the Cloud system is in fact the ability of scaling down, not up, the Cloud based IT system. In other words, we shall design our system that based on certain business and technical criteria, the system can scale up to cater for the extra loading, and scale down to save cost. In other words, the Cloud system is no longer a fixed architecture, but it will grow or shrink the computing power in line with the businesses. And it will cost more when the business is good, and less when the business is slow. Finally IT becomes part of the business. Another key learning is the product life cycle that encourages innovation and idea trial. Unlike previous IT set up, now you can implement a basic computing architecture in the cloud in minutes. And you can close down that same architecture in seconds. That flexibility helps us to test drive any idea with ease, and with low cost barrier. In other words, start with your brilliant but untested idea, build a MVP with minimal computing architecture. When it is a good idea to pursuit further, scale up quickly. Then reap the profit with as little computing power you need as possible. So, if you missed the AWS Summit 2013 Singapore, and want to unlearn quicker and relearn more … Don’t miss the next AWS re:Invent 2013.